This course is based on the engaging phonics program at TeachYourMonstertoRead.com, the groundbreaking game that makes learning to read fun. Each week your student will spend some time working on phonics skills. An optional at home activity will strengthen their understanding of the lessons from that week. 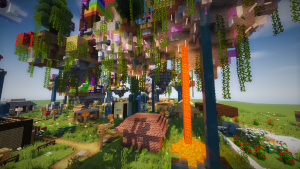 Finally, an in game build will bring them into the Minecraft environment to engage their reading skills at every twist and turn of the map. Bring reading to life with this year long course of fun! Basic letter sounds and blends will be covered in this exciting first step into reading. Basic letter sounds and blends will be completed in this fast paced reading adventure. Students will start putting their skills to use in reading and helping their monsters. Reading is happening! Students will continue to experience success as they add more and more words and skills to their reading prowess. Students will explore one exciting reading game per week to further solidify their awesome new phonics skills.